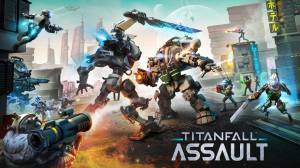 Available on iOS and Android this sci-fi military game expands on the 'Titanfall' first person shooter series that is available on various consoles and PC. It is a fast paced real-time-strategy game that also has a a combination of MOBA, tower defense and collectable card game elements. Players build an army of titans and pilots and then send them into battle where you command them from an aerial viewpoint. How do you Level Up Cards? How do you Win a Match?